I’m paraphrasing slightly, but that comment by a friend on a recent Facebook post of mine basically summed up the events of last Saturday, and it was glorious. 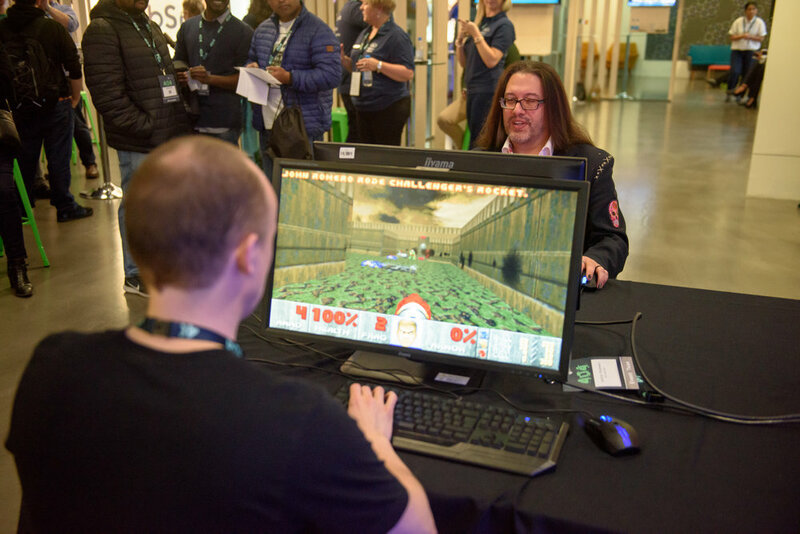 Last week I was lucky enough to win a competition to challenge John Romero to a Doom II deathmatch at a tech event in London. 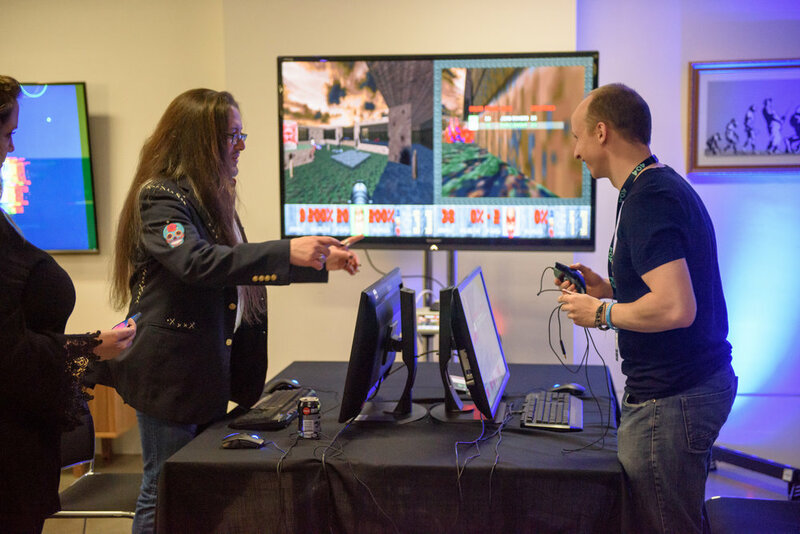 Doom is an immensely important part of my life, and John Romero is of course an immensely important part of Doom. 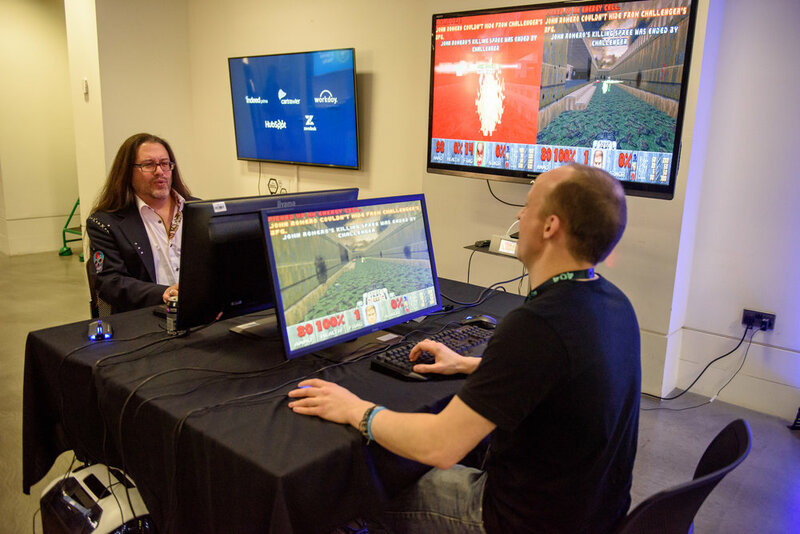 Doom planted the seed of interest in to what was to be my future career in game development, not only because it was an incredible game, but also due to its strong support and capability for modding. I've also written about Doom before on this site back in 2015, but more specifically about my concerns for the 2016 version (which fortunately were misplaced as the game turned out to be great). I was around 12 or 13 years old when the original Doom was released and I remember being blown away by it. It was - and still is - fast and visceral, and it paved the way for a whole new genre. I played both Doom I and II to death and spent hours poking around its innards, discovering new ways to mod and play it. I once thought I was a genius for extracting the sound file from the Icon of Sin map, the final level in Doom II, reversing it to discover the immortal words "To Win the Game you must Kill Me, John Romero". So with Vanya, Steve, and Alex in tow I donned my UAC attire and dove in to what was, inevitably, a massacre at the hand of the master of Doom himself. It's safe to say he absolutely annihilated me, as he did the rest of the competition; he took everyone apart with calm, surgical precision, and he plays with a seemingly frame-perfect accuracy. The very fact I got two frags on him, despite his twenty against me, means I can now die a happy man. 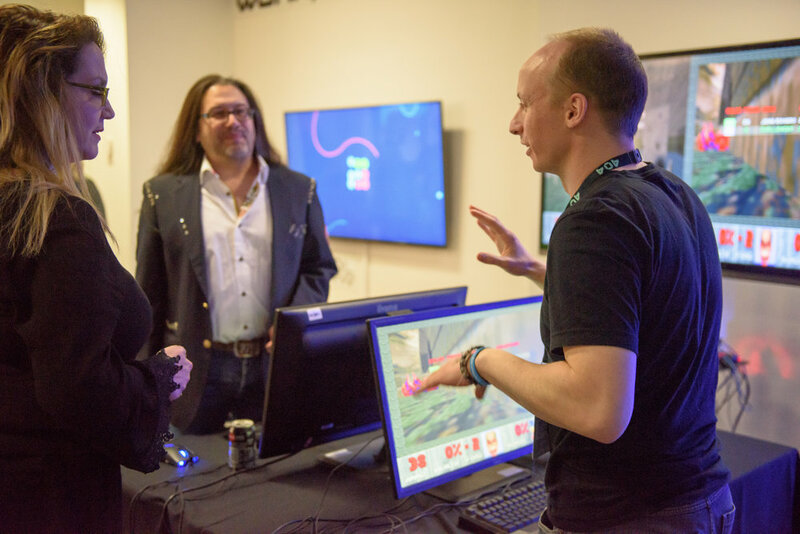 It's also curious - as his wife Brenda was telling me later - that John is probably one of the few people who is a pro-gamer at his own game. Both Romero and Brenda are very welcoming, lovely people, and it was pretty damn humbling to be in their presence. 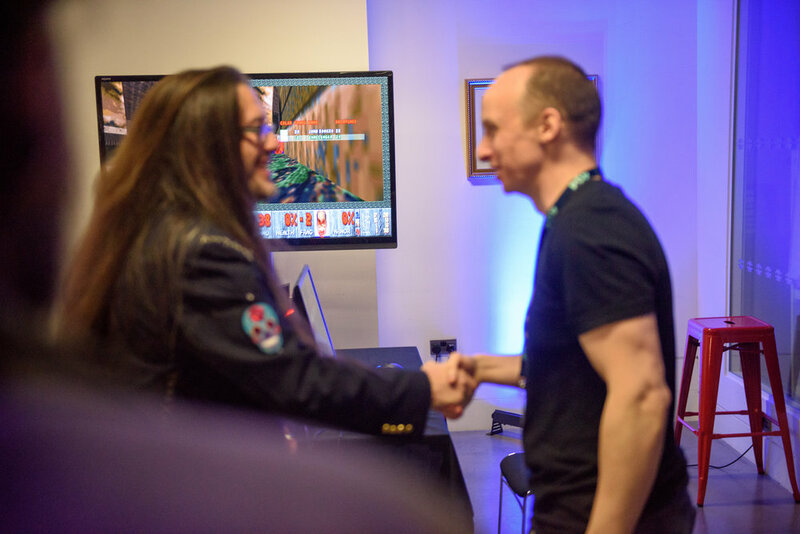 It was amazing just to meet him, let alone face off in the very game that made us both who we are. I'll leave this with the moment I first fragged him. I should get this mounted or something. 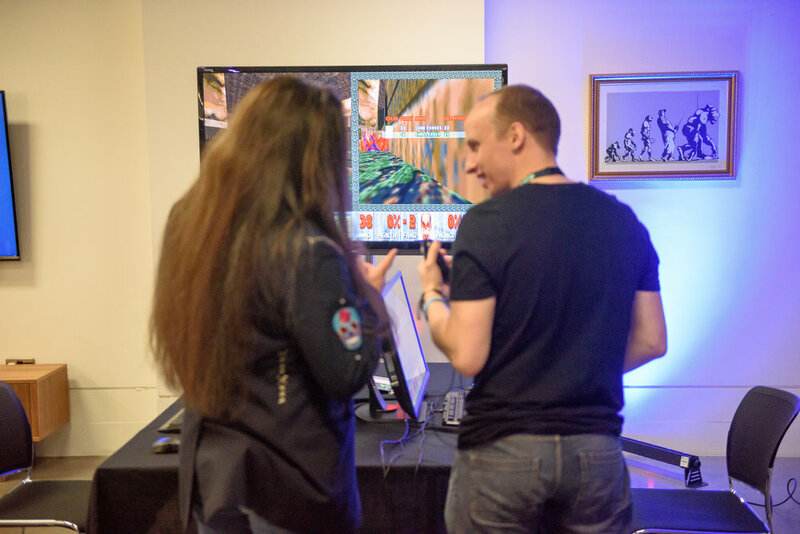 Here's the gallery of pics below; I really do pull some weird faces when gaming.